Last week, our family’s story was featured on Primal Palate, the web site of cookbook authors Bill Staley and Hayley Mason, and a leading paleo recipe and lifestyle blog. The story featured our journey changing our diet to a paleo/primal-style diet, free of grains and refined sugars, to help our son with ADHD and other behavioral problems. Feedback has been incredible and most people are happy to read about parents helping their child through diet… but some naysayers didn’t have such glowing reviews, with one reader saying my “extreme parenting” gave paleo a bad name. Wait… what? This I don’t understand. Yes, a paleo (or gaps, or primal) diet is extreme to a lot of people, particularly those coming from a standard American diet. But, I am willing to do lots of extreme things for my health and that of my family. So, this begs the question, is the paleo diet healthy for kids? 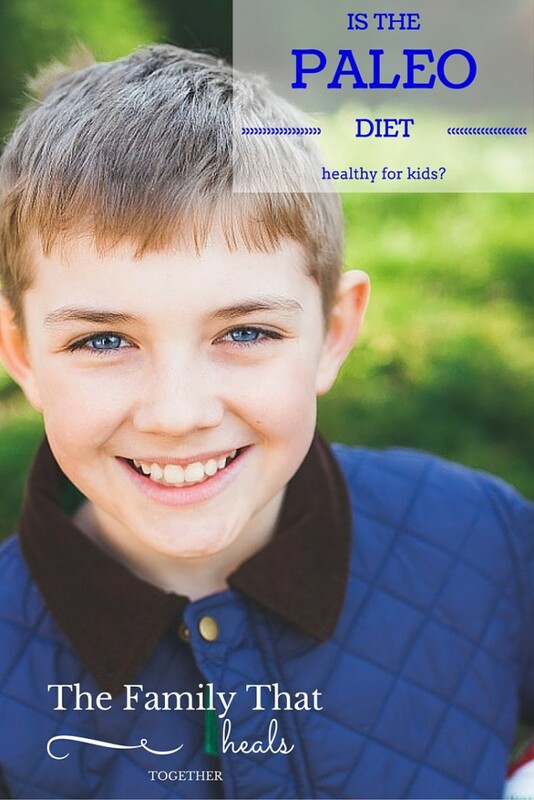 Can kids get all the nutrition they need from a paleo diet, free of grains, dairy and refined sugars? Let’s take a look at the science. Grains contain a little protein, and an array of vitamins and minerals, including magnesium, manganese, selenium, phosphorus, and copper, as well as fiber. However, one serving of grains alone won’t get you very far in the nutritional department. You’d have to eat several servings several times a day to make a nutritional impact. (You can see a chart of the nutritional content of various grains here.) So, why wouldn’t you just eat lots of grains, then, to get all these great benefits? There are a number of reasons. First of all, many folks are allergic to grains, especially those containing gluten like wheat, barly, rye and some (contaminated) oats. Others find they just don’t digest them well and experience extreme bloating after consuming them (this was the case for me and the bloating ceased almost instantly when I stopped eating grains). What this means is that when the gut experiences difficulty digesting and breaking down grains, “intestinal permeability” occurs: i.e. leaky gut, the syndrome in which holes begin to erode the gut walls and food proteins begin to leak through the gut into the blood stream, causing damage to organs in the body (this is what causes autoimmune diseases). We can’t assume that all children will have trouble digesting grains, however, grains do require a strong gut health for digestibility, and strong gut health is not common in a society riddled with C-sections, formula feeding, and antibiotic usage. Even my children who were born at home and have never received medications or interventions of any kind do not tolerate grains well. How Can We Meet Nutritional Needs? If children don’t eat grains, then, how can we meet their nutritional needs? Lots of ways! Fiber is easy, and can be obtained by eating lots of veggies and some fruit. But what about the vitamins and minerals? Veggies are an excellent source of these nutrients as well! Broccoli, leafy greens like dino kale (the name of which, by the way, makes it instantly cooler), asparagus, sweet potatoes, onions, green beans… the list goes on and on. Feed your kids vegetables at every meal and they will get used to eating them! Meat and eggs are also excellent sources of nutrition, and provide a much larger amount of nutrients per serving than grains. The point is, there is not a nutrient found in grains that cannot be obtained from a better, more easily assimilated source. Because of the problematic components of grains, even the nutrients they offer are difficult for our bodies to use. However, if you feel your child needs grains, consider an ancient, gluten-free grain like quinoa, and take care to soak overnight before cooking. If you do include grains in your child’s diet, make sure it is just a small part, as a starchy side along with a generous serving of veggies and protein. Note: many whole grain products are fortified with synthetic vitamins, particularly folic acid. The food fortification mandate of 1998 requires that foods have added folic acid because of the false assumption that this would prevent birth and fertility defects. However, this is a synthetic form of folate that many people’s bodies cannot convert to a bioavailable form, so the folic acid becomes toxic in the body and builds up, rather than being assimilated. (Read more here.) Instead of fortified breads and cereals, consider feeding your child an abundance of foods containing folate: broccoli, asparagus, cauliflower, collard greens… again, vegetables are your friend and can give your child what his body needs! And for adventurous eaters, liver, particularly calf and chicken livers, are also an excellent source of folate! We take dehydrated liver capsules rather than eating liver frequently to get the same effect. Use a high quality probiotic to repair gut flora. Introduce homemade, raw milk kefir, very slowly, a drop at a time, first thing in the morning, increasing by a drop a day, to see how your child reacts. Kefir is a powerful source of probiotics and can help change the gut climate fairly quickly. Think about doing an intensive healing diet like the GAPS diet, which heals and seals the gut walls and can eliminate food allergies. 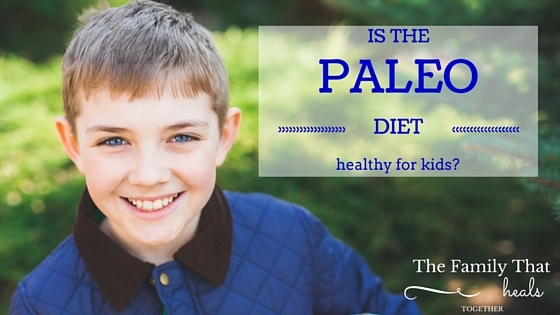 Kids Really Can Eat Paleo! So, before you assume that a paleo diet can’t meet the nutritional needs of children, remember that a well-balanced diet with a variety of vegetables, as well as muscle and organ meats, eggs, and raw and cultured dairy is an excellent way to feed kids! You aren’t denying children by feeding them a paleo or primal diet, you are providing them with amazing nutrition that will set their bodies up for a lifetime of health, “extreme” parenting be darned! Thank you for this. I just read your interview with Primal Palate and am baffled that someone would consider anything you said “extreme parenting”. I know some people think I’m crazy for thinking that food can cause the skin bumps my son gets (elbow eczema when he eats gluten), or the bloating and digestive issues. It’s frustrating because I KNOW I’m right. It’s always comforting to read articles like this. It makes me feel less isolated and reminds me that there are other parents out there that are doing the same thing I am in an effort to help their children be the healthiest they can be. Thanks again! Hi Sage! Glad to hear from a like-minded momma! The idea that working hard to heal your child is “extreme parenting” is baffling to me also, but, like you, I know my child and just focus on doing what’s best for him! Keep after it, warrior momma! Is there a cookbook you could suggest to me? I’m interested in giving this a shot, wholeheartedly! I’ve used many paleo recipes, but want to try this more strictly for the health of my children. I need family friendly recipes and like to have a book in my hands rather than scanning Pinterest or the web. My favorite Paleo cookbook is Against All Grain, but I also really love Make it Paleo, which is a really simple cookbook with great recipes.